B.RIGHT MARKERS branding and packaging target group are professional artists and designers looking for both quality and functionality. Thirteen colorful markers can be found in a big package, and various smaller packages with less colors as well. The colors used for the package illustrations are the same ones which can be found inside. Beside being visually appealing, the packages can be used as a product storage — inside them each marker has its own designated space. 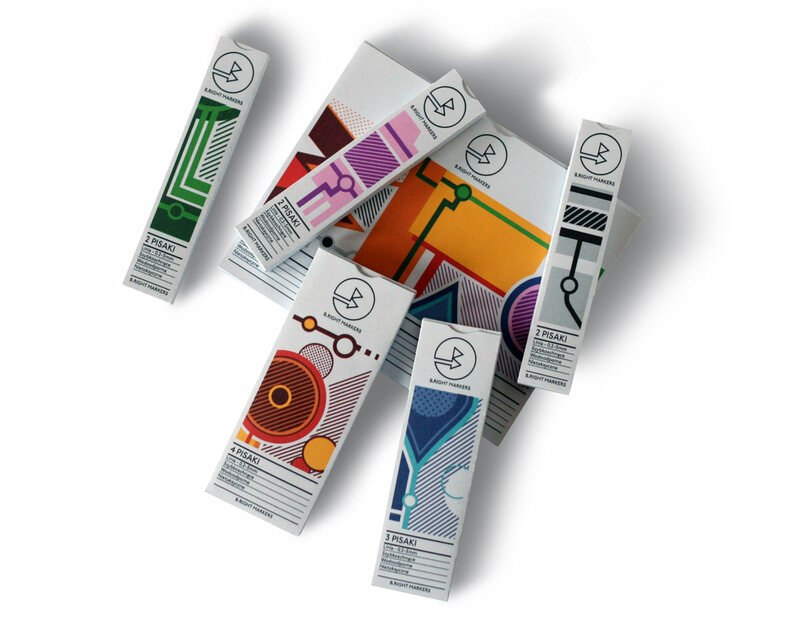 Information about the thickness of the markers and other attributes can be seen on the back of the packages. They also contain lists of marker colors which are included inside the package and their names. The project was distinguished in one of the curated galleries on Behance, which includes the best graphic design work from top online portfolios by creative professionals.